The story of India’s Partition and the creation of Pakistan remains even today a subject of considerable scholarly contention despite the substantial corpus of works on the subject. Focusing on the Punjab during the colonial era, this collection of eleven essays frames the story within the tensions of modernity and civilisation. David Gilmartin casts Pakistan’s story against the power of the myriad local identities that played a powerful role in shaping local life in colonial Punjab. The ties of genealogy, whether associated with local sufi author, or with the local biradari, provided the keys to local social order in the province. It was against this backdrop that an imagined moral community linked to Islam gained currency in the 20th century in the new spheres of publication and debate in Punjab’s cities. Civilization and Modernity provided a lurid and incisive narration of the civilizational crisis in Punjab, rooted in the tensions between local life and larger civilizational imaginings which led to Pakistan’s emergence as a new symbol of identity. The book will be mandatory reading for students and scholars of modern Indian history and politics, anthropology and South Asian studies. 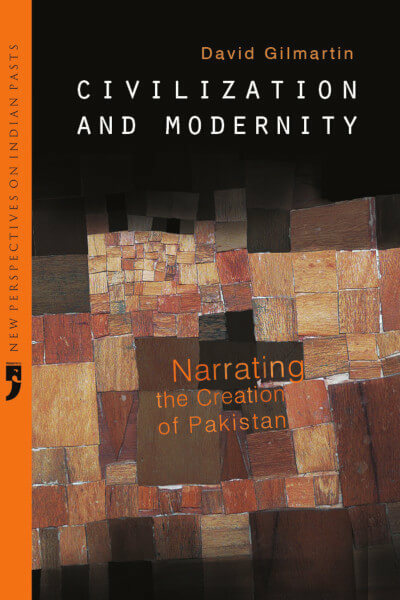 It will also be compelling reading for the informed lay reader interested in the making of ‘modern’ South Asia. This book is printed on sale and hence will be shipped within 5 working days. The time taken for you to receive the book after it is shipped will depend upon the mode you choose, while completing your purchase. The rates applicable for each mode are different.